Discover How ChartRequest Can Empower Your Organization. As a health information exchange (HIE) company, making critical health information easily accessible is at the heart of who you are and what you do. Integrate our platform into your array of services—and experience the efficiency, compliance, and continuity of care ChartRequest provides. Increase efficiency with ChartRequest. 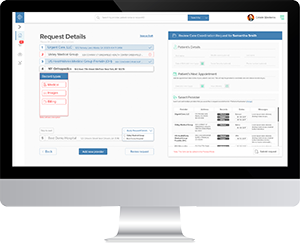 With online tracking for requesters, you’ll slash unnecessary communication. 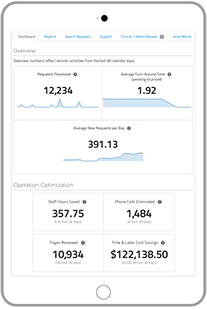 You can also view data on turnaround times and request volume to streamline your operations. When it comes to implementing ChartRequest, IT support simply isn’t required—except for access to your systems. 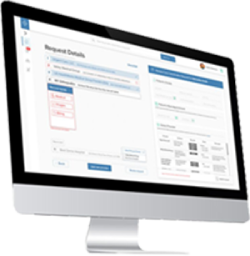 At the same time, ChartRequest is an EMR-agnostic software that integrates with many EMR platforms. Enjoy interoperability that supports smooth referral management and care coordination. Place the power of tracking medical records into the hands of your end users. 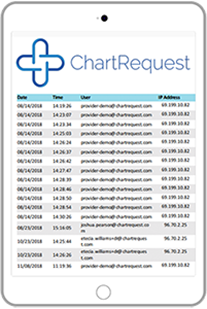 ChartRequest’s record retrieval empowers patients, providers, and third parties to see the progress of their HIE requests. At ChartRequest, we understand the importance of ensuring HIE processes are secure. Our platform is HIPAA compliant, SOC 2 certified, and ISO 27001 certified. 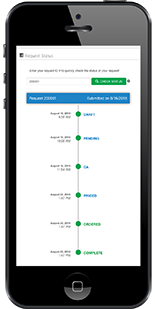 In the event of an audit, ChartRequest also provides an audit log for every request—complete with date, time, user, and IP information.